Make up brushes, the tools of the trade and the product that can make or break any make up look. Hmmm perhaps that is a little to over enthusiastic but there's something to be said for a decent make up brush aiding someone who is wanting to learn and hone their skills. To say I was always a fan of make up brushes is a stretch but I did enjoy the process of buying, my early collection came from The Body Shop and in recent years US trips saw me stocking up on Sonia Kashuk. I also shouldn't tell you my old method of washing them would be rinsing under the tap and then dumping in a jug of water for a few hours/days. Thankfully now my current brush cleaning method is far more effective. 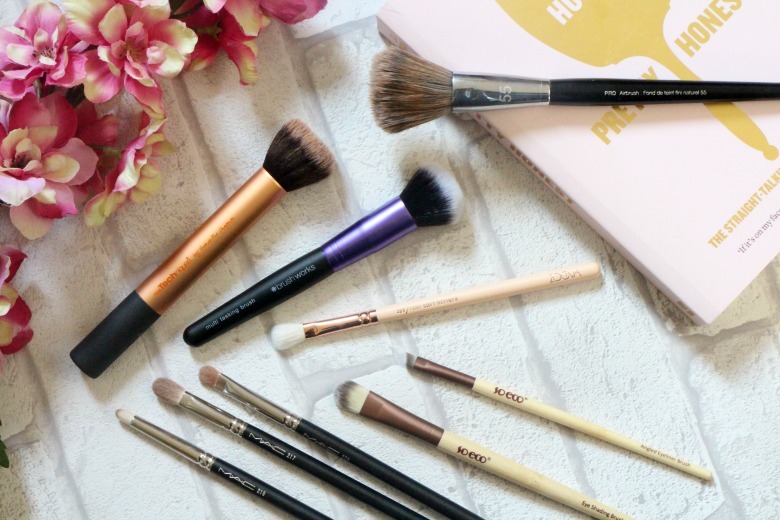 Ramblings over let's actually talk about what my favourite make up brushes and why starting with the foundation brushes. It'll be no surprise that first up is the Real Techniques Buffing Brush which annoyingly can only be purchased inside the Real Techniques Core Collection. I've tried the Real Techniques Expert Face Brush and even the Bold Metals 101 Triangle Foundation Brush but neither compare to the Buffing Brush for me. This is the closest I get to an airbrushed finish without that Snapchat filter and I find it works well with all types of foundation I own. Even if I'm rushed with my make up application I still get good results, and when working at my leisure even better. Sephora's Pro Airbrush 55 brush is definitely one I use when I have more time on my hands as I find the longer bristles make hasty application a little harder. I typically have used this in the past with my beloved Make Up Forever HD Foundation and it is a beautiful partnership. I was even able to pick up a smaller handled travel size which I will be testing out this month when I'm off on holiday. New to me is Brush Works Multi Tasking Brush* from MakeUpBrushes.co.uk. This website features a lot of familiar make up brush brands, with fast dispatch and free first class delivery. I was able to take a look round the website and pick a brush or to try, the Multi Tasking brush being one of them. I was keen to see how it would fair against my favoured Buffing Brush and it's a hit. I have a pile of make up brushes sitting in my kitchen waiting for cleaning so I've been able to give the Brush Works Multi Tasking Brush a through testing and I'm pleased with what I'm seeing. 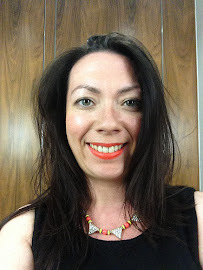 Dense fibres create the perfect conditions for blending my foundations and for £6.99 I'm happy. I'm not very adventurous with my eye make up but I find that a trio of brushes from Mac really help make my life easier. Eyeshadow colours are packed on with the Mac 239 Eye Shader Brush, I pick up a new Mac 217 Blending Brush from Duty Free whenever I travel, it really is worth the hype. And a new addition is the Mac 219 pencil brush which I dip in and out of using depending on the look. Of course these aren't the cheapest of brushes and it seems like Real Techniques, the typical high street make up offering don't provide a good selection of make up brushes. That's where Zoeva fit in. I have the Zoeva Rose Gold 227 Luxe Soft Definer Brush* and I might even love it a little more than the Mac 217. I use this a lot during the week when I'm just reaching for a single eyeshadow and it blends it beautiful. Often the proof is in the cleaning and this cleans up a treat with no shedding to speak of. I definitely think it's time I added a few more Zoeva brushes to my collection - send me your recommendations. I was also sent the So Eco Eye Brush Set* from MakeUpBrushes.co.uk which contains a concealer brush, eye shading brush, angled eye liner brush and finally a lash and brow comb which I have to ask why we are still be subjected to these - does anyone use them? Although the spooly is a greatyly appreciated. My two top picks from the list are the eye shading brush and angled eye liner. Wider than the Mac 239 it allows for packing on those one colours without needing too much detail. I'm usually loyal the to the Mac 266 Small Angled Brush but I don't know what it is about it, I keep losing them! Luckily I have had the So Eco version to hand to play with. It's thicker than the Mac version so not ideal for detailed work but it's serving me well until I hit duty free and great to have in the collection for use between washing or if I want to go a little thicker with my liner (I use powders typically). If I have one or two of these brushes to hand I can apply my make up with ease. What are your favourite brushes? Nothing wrong with an essay! I saw a make up artist using the 217 for concealer so I must give that a try. Now you're making me wonder if it's actually the 208 I use, I always get confused as I'm constantly losing it. I'll check that out at the airport, although as I say I use it for liner more than brows. I have yet to try out my beauty blender, why I'm so scared of it I don't know! Perhaps that's a task for the weekend.